OEKO-TEX, the International Association for Research and Testing in the Textile Industry, announced its newest certification for textiles, “Made in Green,” last week. The certification is an assurance that the textiles are safe in terms of human ecology and are also produced in a sustainable and socially responsible manner. Using a specific test number and a QR code, the textiles and manufacturing processes can be tracked thoroughly, offering complete transparency from the retailer to its consumers. “Made in Green” replaces the previous certification system, OEKO-TEX Standard 100plus and the Spanish mark “Made in Green by Aitex,” which is already being used by the fashion brand, Mango, along with several others, as a way of distinguishing their products. With the help of the organization’s STeP certification, brand suppliers, manufacturers and retailers have, since last year, been able to have their production plants assessed, analyzed and audited by OEKO-TEX regulations with emphasis on sustainable production. STeP certification focuses on assessing, auditing and certifying that textile production facilities use environmentally friendly technologies and have fair and safe working conditions. The company has made an addition to this certification with the creation of its MySTeP database, which enables the administration of existing OEKO-TEX certificates and management of the complete supply chain in regard to sustainable key performance indicators. 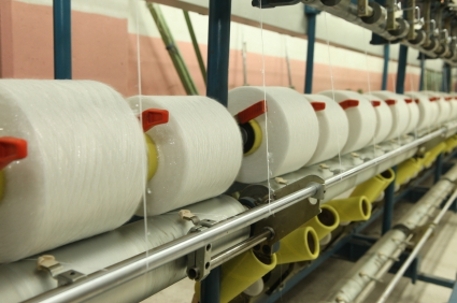 With these recent developments, the textile and apparel industry now has access to a complete up-to-date package that can support and encourage companies to reach their goals of improved product safety and sustainability.